Day three, reached the venue at around 4 PM, Michelle and I finally met Arnold there, yay! Always wanting to be able to design any kind of clothing for everyone, Lenny Agustin decided to show off her collection at the fashion week by using the modern traditional design inspired by a Balinese woman. Look at all the head pieces that the models were wearing, I heard she used those as the reflection of a Balinese woman who's going to Pura with an offering on top of their head, interesting. Espen Salberg is a native of Norway who has been staying in Bali, Indonesia since 2007 and this time, he decided to come to IFW 2012 to showcase his signature line "Firmato Espen Salberg" - a line of ladies' high fashion clothing. By always focusing his idea of fashion which combines elegance and quality, Espen Salberg never fails to impress people with his breathtaking designs. My favourite would be the three last dresses with the crazy details on them. I specially fell in love with the big puff black skirt, hard! Fooling around with Michelle and Yvan Rodic. 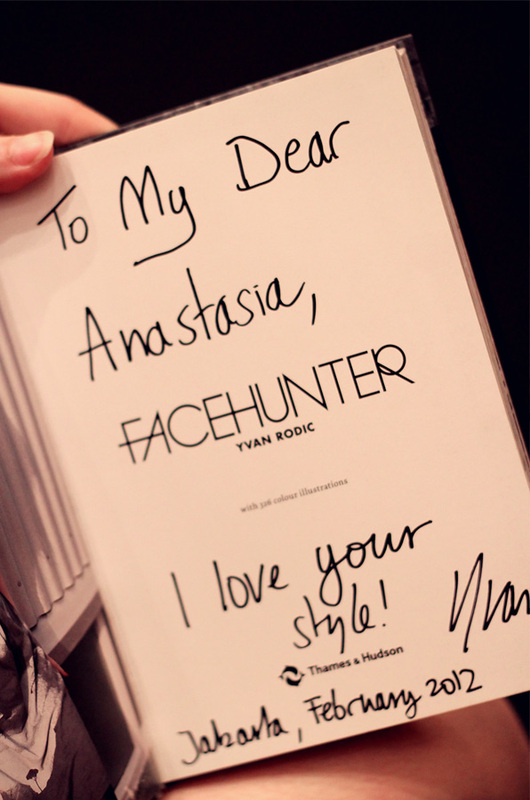 Yes you read it right, he's Yvan Rodic of Facehunter! Met him during the 4 days event and he is sooooooo nice! And look what I've got!! PS. 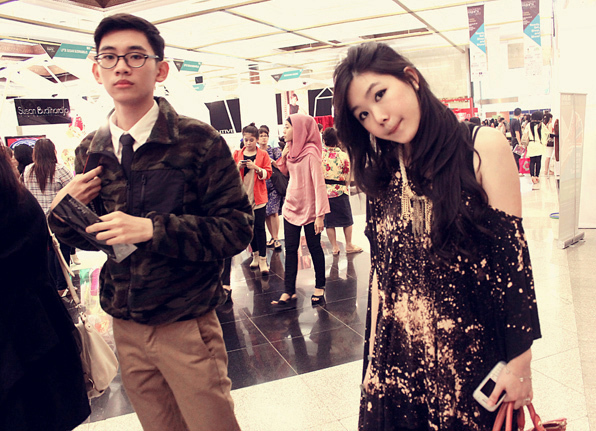 Winners were randomly chosen by me and Promdressesale's manager. And I have a good new here! Once again, I was wearing sheer top from Chicwish, dots print sheer mesh green skirt from Romwe and galaxy print Jeffrey Campbell lita from Solestruck.com. I was so grateful that I didn't have come to watch IFW 2012 alone since Michelle was also invited to the event and I'm so lucky to know her. I can't imagine watching the whole fashion shows and roaming around the area alone. Moreover, Michelle is so fun to talk to! I think we almost talked non-stop whenever we met even during the fashion shows hahaha it was like we never run out of topics to discuss. All photos above were taken by Andreas Setiadi. 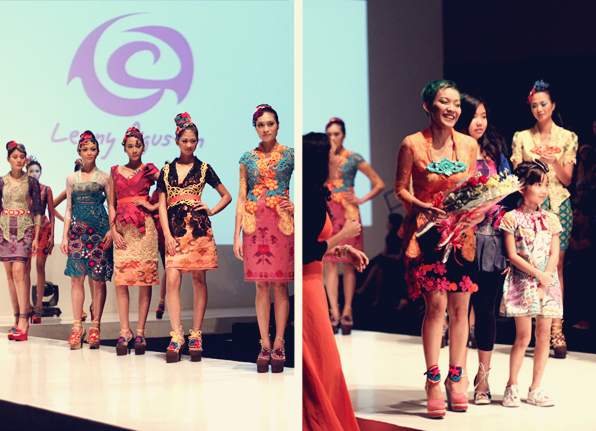 This time, Rudy Chandra decided to show off his collection which was inspired by Hanbok, the traditional Korean dress with lots of colors. And look at those shoes!! 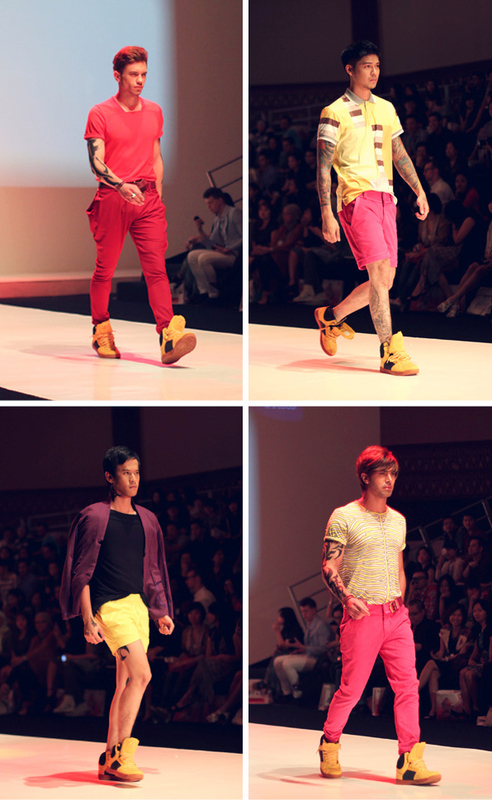 Those were specially custom made for his fashion show, I'm amazed!! Officially opened her private label “Jeanny Ang Couture” in 2002, Jeanny Ang's collection of evening gowns and cocktail dresses had always been an eye candy to most of women. 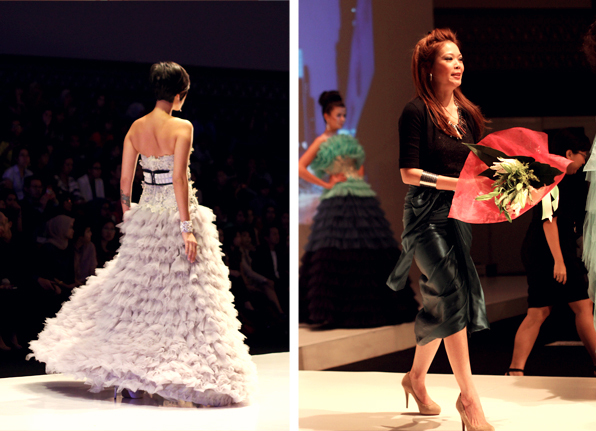 Femininity with romanticism is clearly seen in most of her designs. Batik goes pop! 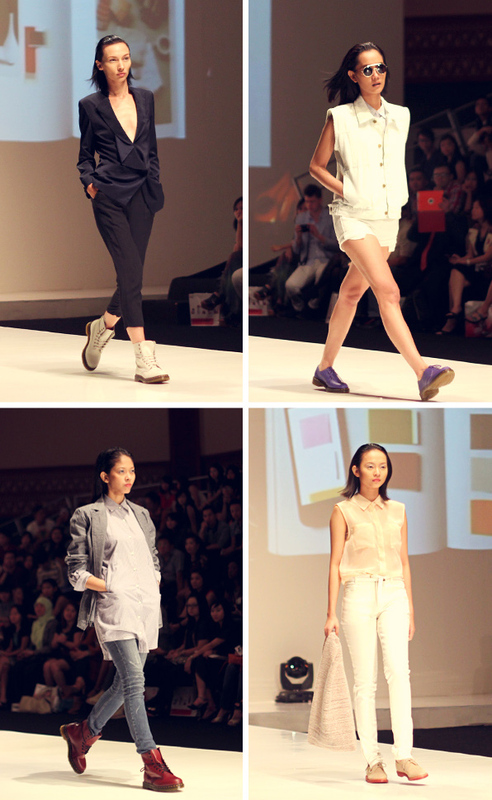 The words that totally describe Sofie's collection at the IFW 2012. His idea of using batik and creating a whole different traditional vibrant to his pieces along with the magic of creativity, resulting in some of the most interesting traditional modern batik designs is looooove. 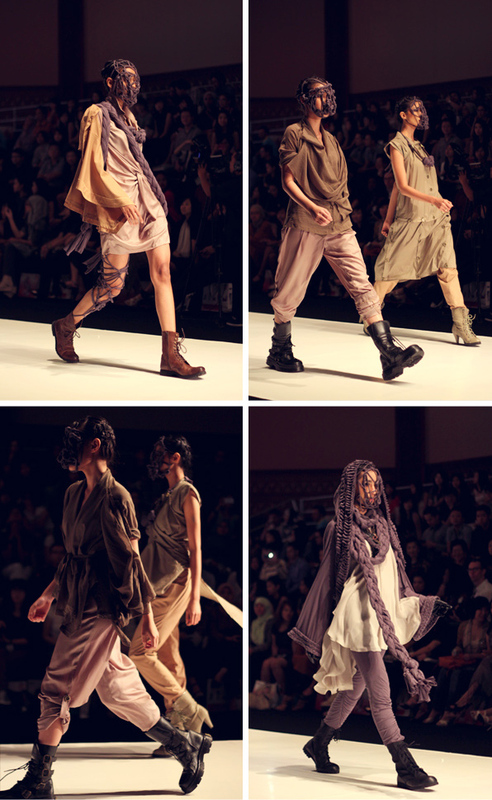 Barli Asmara once again stepped up his game by giving us the edgy style with a touch of his signature design of smocking, and not forgetting to focus on the details in each of his designs totally blew my mind away. 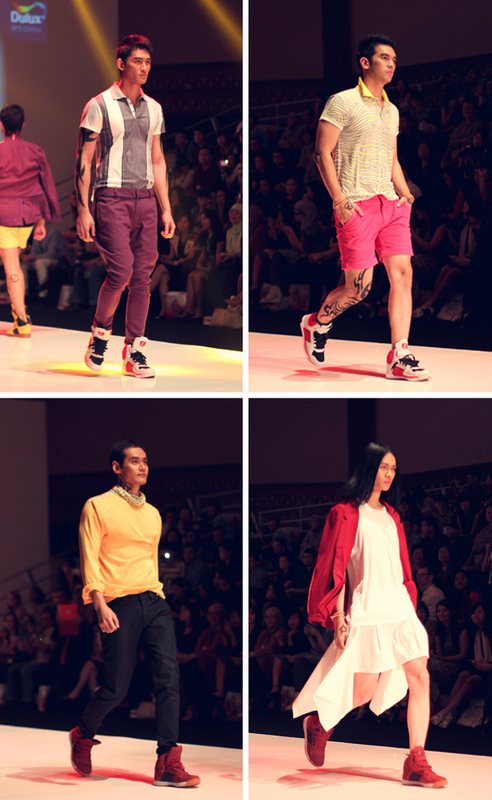 By only using red, black and white, Barli was one of the designers that people keep an eye for during IFW 2012. 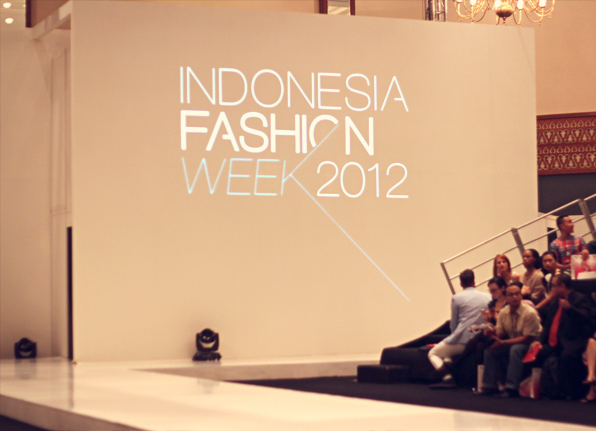 IFW 2012 is the first Indonesia Fashion Week which was launched on 23rd February 2012, 3 days ago. I felt so honored to be invited to this 4 days event to witness the creativity of all the designers in merging all of their amazing designs and fabulous idea with Indonesian culture that brings Indonesia's fashion to the next level, to the global market. 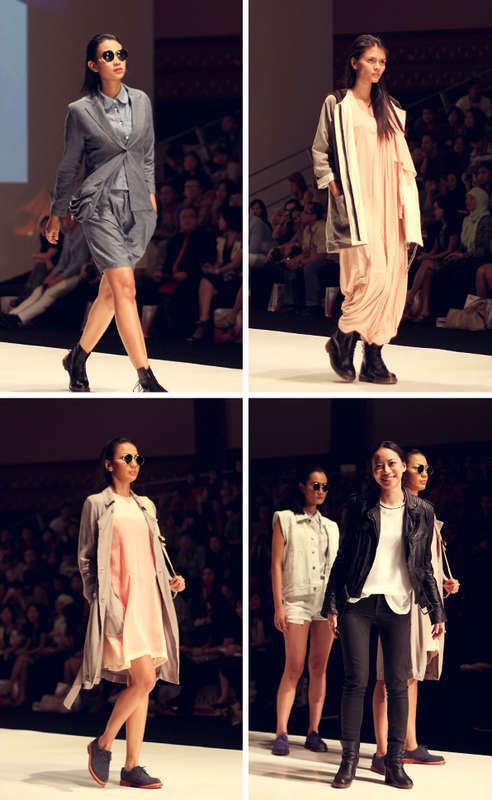 Decided to open his own label in 2010 and launched his ready-to-wear collection during the Jakarta Fashion Week 2011, Yosafat is known for using the touch of complicated construction to his designs with adding a more relaxed and wearable sense to each of his pieces. And yes, we can see that from some of his creations above too. Dared himself to build “Albert Yanuar” as his label two years after his graduation in ESMOD Fashion College, Albert seemed to choose gorgeous colors as his theme this time and ended it perfectly with some magic to the fabulous white dress. 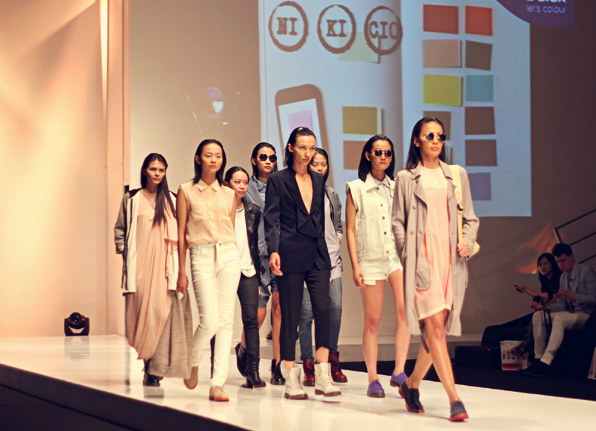 Opened his own concept store in 2009, we can see that Jeffry Tan collections are consistently modern in concept. 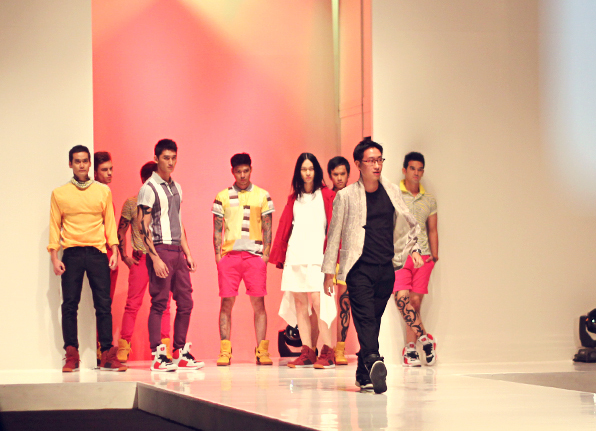 And well, seeing all of his collection above, I guess color trend will still be in trend this season. 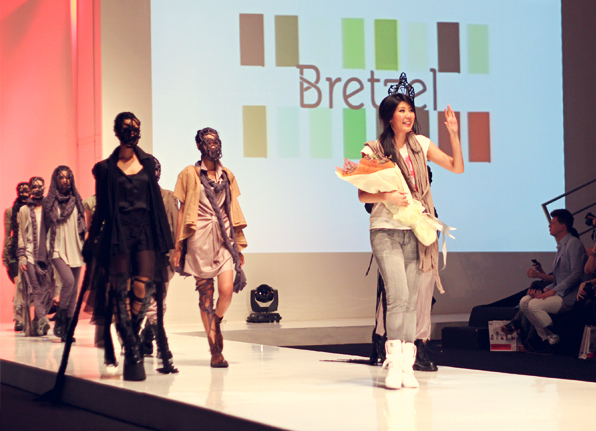 After succeeding in almost all possible elements of a high-end designer, in IFW 2012 she introduced us to her new line brand of Ready-to-wear collection in titled "Bretzel". I should say she really prepared her collection preview in this fashion show really well along with the cool concept. Oh, who doesn't know Nina Nikicio? A female designer whose known for her work which is based on her beliefs that every clothe has to last more than a single season. "A clothe has to be treated as an investment and able to tell a story." For me, her pieces always scream "simple, elegant and interesting".